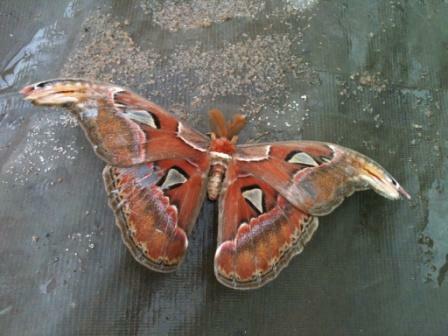 An Atlas Moth crash landed in the school grounds last week. The world’s largest moth doesn’t eat and has only two weeks to mate before their energy reserves are spent. This moth had no energy left to get off the ground. The moth’s body was the size of my thumb with each wing as big as one of my hands. Beautiful – but I walked back inside feeling quite sad.